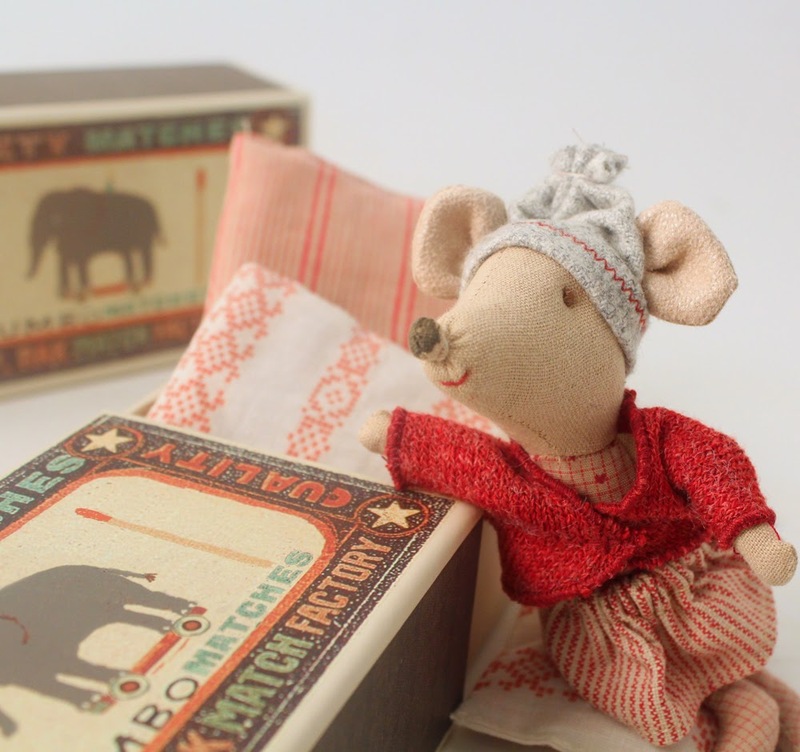 She is a sweet little thing - a 'big sister' size mouse, and she comes in her own little matchbox bed with cosy bedding. And if you love her too much to wait, you can also buy her for £20 on the website here - Maileg Matchbox Mouse big sister - winter. You can also enter through our Facebook and Twitter pages if you'd like to - the more entries, the more chances she will be yours!